Rain-slicked areas in North Carolina are still estimating the damage inflicted by Hurricane Florence – the storm that made landfall just earlier this month. Starting out off of the coast of Africa, the storm headed to the Carolina coastline as a category 4 hurricane, eventually making landfall as a category 1 and dumping more than 30 inches of rain in some areas. Many areas across Texas experienced more than 40 inches of rain, and at its peak, the storm dropped more than 60 inches of water in a given area. Puerto Rico, the Virgin Islands, and the Leeward islands are still recovering from damages inflicted by Hurricane Maria. Estimates show some areas experienced a 9-foot storm surge, with floodwaters reaching as deep as 15 feet, and floods lingering for weeks. As mentioned in our previous article on natural disasters, these catastrophic events bring contaminated waters, shifting ground and infrastructure, unhealthy increases in chemicals in the water and a marked decrease in access to uncontaminated resources. The most recent hurricane to hit the coast, Hurricane Florence, is sending both the coal industry and pig farmers into a frenzy. According to the New York Times, “because of the storm, at least 110 lagoons in the state have either released pig waste into the environment or are at imminent risk of doing so.” And with enough pigs across the state to produce more than 10 billion gallons of waste annually, North Carolina is on the verge of a water crisis. While it sounds like a gas, pig waste in the aftermath of a hurricane is no laughing matter. 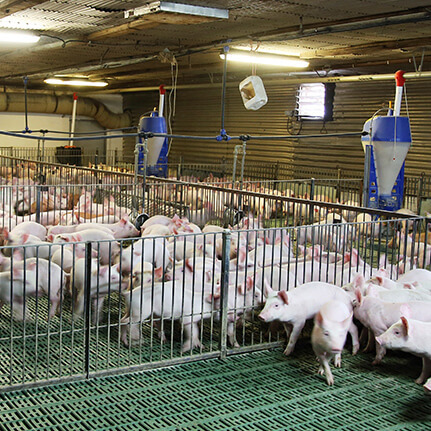 Pig manure brings with it nitrates, and in excess, can be linked to a myriad of health issues. Bacteria such as E.coli and salmonella are often found in the waste pits. Some bacteria in the area are so advanced they’re antibiotic-resistant, which is worrisome to residents and locals in the area who rely on private well water for their families. On top of dealing with pig waste leaching into the groundwater, residents in the path of Florence are also dealing with the industrial businesses around them. In North Carolina, the coal industry powers the region. But the byproduct of the industry—coal ash—carries with it high levels of arsenic, lead, and mercury. Coal ash that gets picked up by hurricane winds could easily make its way into the streams, and that could spell t-r-o-u-b-l-e for residents everywhere. In an Emergency, is a Water Treatment Plant Enough? After a hurricane, the most time-sensitive (and sometimes, the most painstaking) task is finding and providing access to clean drinking water for you and your family. But even in places where contaminants like pig waste and coal ash find their way into streams and groundwater, the city water treatment plants will take care of cleaning that up, right? Not necessarily. In the case of North Carolina, water treatment facilities in the urban areas are located as high as 150 feet above sea level and have backup generators to keep systems online in case of power failure. But even with the Titanic, unsinkable ships can, well, sink. Water treatment facilities in the urban areas are located as high as 150 feet above sea level and have backup generators to keep systems online in case of power failure. The CDC recommends that if you don’t rely on city water but instead on well water, it’s best to conserve and prep up to three days of fresh, clean drinking water before a major storm as your well water system will likely be knocked out of use. And for those who do rely on city water, it’s also wise to stock up. In the case of Hurricane Harvey, the storm was so powerful that it knocked out even backup generators and maxed out the power grid. As mentioned in our previous article, when a water treatment plant is literally flooded with water from a natural disaster like a hurricane and is trying to process contaminants leaching into the ground, that water treatment plant is oftentimes too overwhelmed by the influx of water needs to properly serve the city. On top of that, contaminants in drinking water after a hurricane have been known to cause dysentery, cholera, and hepatitis. When the one place we rely on the most—the city water treatment plant—is offline, where can those in trouble turn? When it comes to water treatment options in a crisis, you’re in luck. Aside from boiling your water, you can also filter your water at either the sink level (for your drinking water) or throughout your entire home. 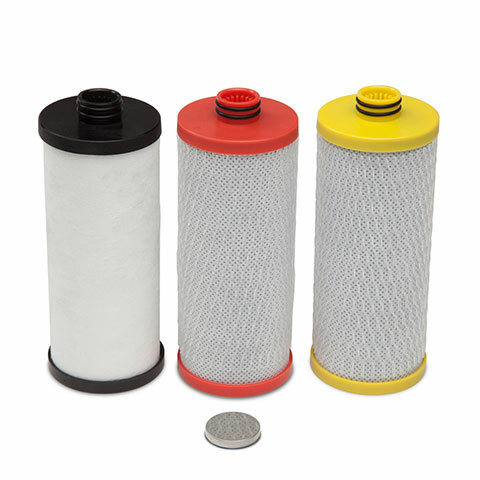 With proper filtration installed in your home at the point of entry, you can turn any situation from murky to clear. Our Whole House Water Filtration System, the EQ-500, is a well water system with UV filtration. 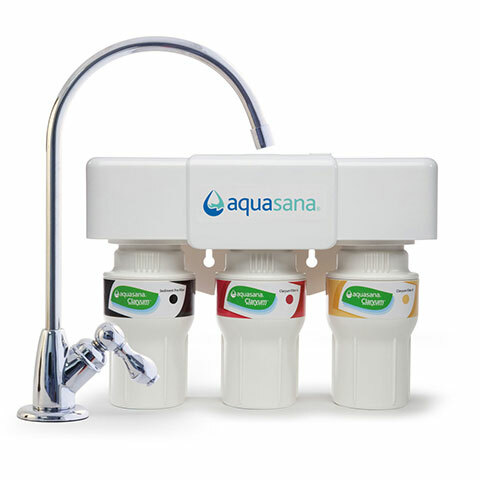 Designed to tackle well water contamination for safe, great-tasting water that’s free of odor, bacteria, and other harmful contaminants. Worried about boil warnings because hurricane-caused bacteria and chlorine-resistant cysts are making your water non-potable? Get total home protection to safeguard against bacteria and viruses that may be present in your water.